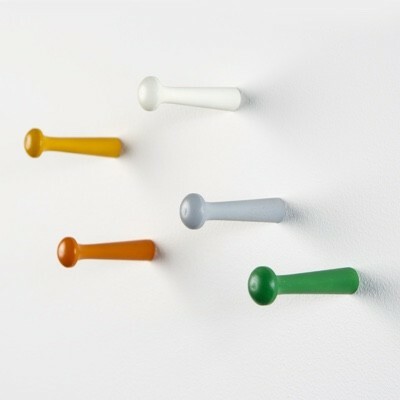 The Muuto Dots coat hooks are a characterful little family of hooks made from solid wood with hidden wall fixings. The Dots round edges so are gentle on the garments hung on them. Why limit them to the hall they can be used all over the home wherever hanging storage is needed. They can be used in groups or individually, on the back of doors, in the bathroom or kitchen you could even hang a picture or mirror from them, all they ask from you is that you uncover them every now and then and admire their shape and material.